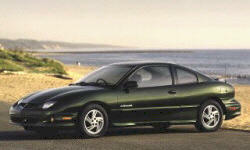 Pontiac Sunfire Pros and Cons | Page 1 of 1 | Why Not This Car? What drives people to buy (or not buy) a certain car? 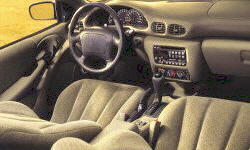 TrueDelta's members share Pontiac Sunfire pros and cons based on their real-world driving experiences. For the 2.4 150hp liter engine, it gets decent highway mpg. Rated at 30 mpg, I typically got around 26-28 in mountainous driving. The back seat does not have much leg room.